With a Big East title in his back pocket, and a pair of NCAA tournament appearances to his name by his fourth season at Providence, Ed Cooley seemed to be on the verge of a breakthrough in 2016. These were the Friars of Kris Dunn and Ben Bentil. Dunn had returned to school following very real speculation that he would leave for the NBA after his first healthy season in a Friar uniform. 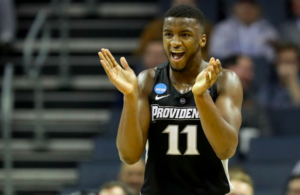 The loss of 2,000 point scorer LaDontae Henton was a major question mark heading into 2015-16, but Bentil more than emerged, turning himself into an NBA draft pick in the spring. 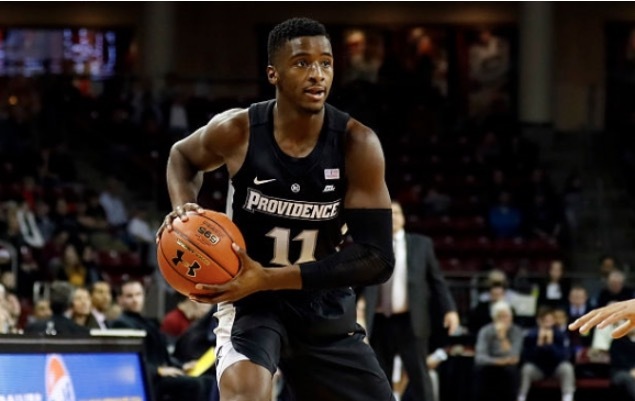 Rodney Bullock was a double figure scorer in his first healthy season, Kyron Cartwright became a key cog, and the Friars had plenty of answers through 20 games. They were 17-3, with wins over #11 Arizona on a neutral court, at #9 Butler, and at #4 Villanova. I recently stumbled upon this highlight reel from January 2016 and it’s wild to think all of it happened in one month. 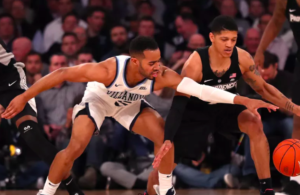 A 2-6 stretch followed in February before that team recovered to win its final four Big East games and eventually knock off USC for the program’s first NCAA tournament win since 1997. Those first 20 games were the most prolonged stretch of excellence from any team in Cooley’s tenure at PC. It was reminiscent of when Providence closed 2003 at 8-3 and rode that momentum (and All American Ryan Gomes) into the ’03-04 year that included wins over Deron Williams and Illinois at MSG (a 70-51 beating), and victories over reigning national champion Syracuse and eventual national champion UConn. Excitement peaked when PC took down a good Notre Dame team on the road. The Friars were 20-5 and ranked 12th in the country before falling apart late that season. Disappointing ending aside, that ’04 group re-engergized the fanbase with a 28-8 record over a calendar year. So, why the trip down memory lane now? With the season under two months away, it’s time to reassess where the Friars stand. Any preseason conversation regarding Cooley will undoubtedly begin with the five straight NCAA tournament appearances he has led the program to. It’s an accomplishment the school had never seen, and one few ever expected to experience. Still, the process of getting to tournament numbers four and five wasn’t filled with sustained excellence, but flashes of potential mixed with a share of frustrating outings. Last season’s group was often maddening. 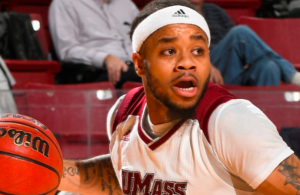 Injuries played a factor in November and December, but it was ugly early — sneaking by Rider at home, the turnover issues at URI, going to overtime with Brown, a loss at UMass, a last-second win versus Stony Brook. We didn’t know which team to expect on a nightly basis. This group beat a pair of top five teams in Xavier and Villanova at home, and went on the road to knock off Marquette. We ultimately saw the best version of that club during an exhilarating Big East Tournament run that was equally as exciting as the 2014 title winning season thanks to upsets of Creighton and top seed Xavier in overtime, and a crushing OT loss in the finals to Villanova. Kyron Cartwright took over Broadway, Rodney Bullock played with fire on both ends, and in the end, the 2017-18 group provided one of the most entertaining weeks of basketball since Cooley took over. That momentum didn’t carry over into the NCAA tournament, though, as PC shot just 6-20 from deep and was man-handled on the glass in a 73-69 loss to Texas A&M. It was the fourth time in five seasons that Providence bowed out in its first tournament game. Depth was something PC lacked a season ago once Emmitt Holt was lost for the year after undergoing abdominal surgery in the fall. Providence missed not only Holt’s spirit and leadership, but his scoring ability. The loss of Holt was a killer, and it is easy to wonder if the concussion Jalen Lindsey suffered in February was the reason why his numbers dipped after he had made 32 3-pointers in PC’s first 11 conference games. What makes the 2018-19 Friars so intriguing is that this has the look of a team that can string together a sustained run of excellence. It could take another season for this team to reach its potential, but the talent, versatility, and depth are there. It will be fascinating to see if it can come to fruition, and if so, when. How the loss of Holt a year ago will be this team’s gain, both on the court and away from it. Why Alpha Diallo was such an effective scorer in his first two seasons at PC. How Nate Watson brought an added dimension of physicality late in the year to match his offensive production on the interior. What’s next at point guard for PC. The upside of the freshman class. Maliek White’s opportunity, Isaiah Jackson’s versatility and search for consistency, where Kalif Young is most effective, Drew Edwards finding his way onto the floor in big moments, and more. Over the next two months the site will also feature looks back at critical games from a season ago, with video highlights serving as a bit of a refresher for Friar fans. We’ll also mix in the occasional highlight reel from past games of the Cooley era. Basketball season is just six weeks away and we hope to fill that time with insightful commentary on the past, present and future of this program.